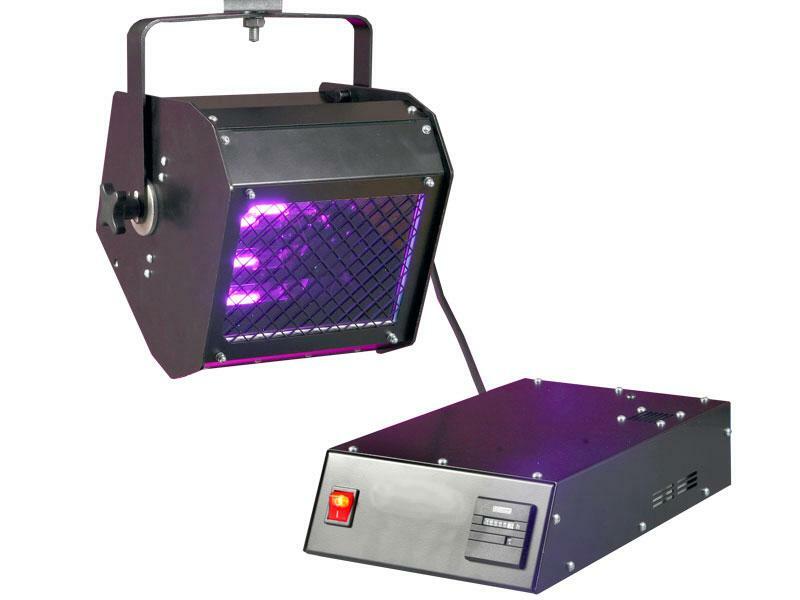 The 400W UV-A Floodlight is a high intensity 365nm backlight that is typically mounted overhead. With an extremely wide beam the 400W Floodlight is ideal for operators requiring good overall component irradiation (e.g. When washing off excessive penetrant etc.) Typically producing in excess of 1,800 μW/cm² when mounted overhead at the component surface at a distance of 1000mm. The 400W Floodlight features fan assisted cooling so that UV output remains stable and an elapsed hour counter on the power unit so operators can track usage. Hanging bracket for mounting included as standard. Replacement parts also available. The 400W UV-A Floodlight uses high intensity discharge Iron (Fe) doped metal halide bulbs in combination with a black woods glass filter to produce a UV light spectral output with a peak intensity of 365nm and within the wavelength range required by NDT standards. If you are unsure about what you need then contact our technical sales department today by phone or by the Contact page on our website. We can discuss your requirements and recommend the most cost effective way to achieve the required results.